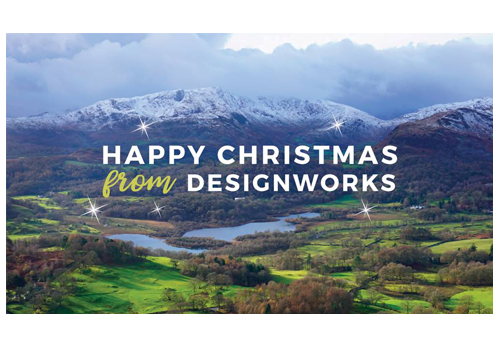 Merry Christmas and Happy New Year to all our clients and suppliers. We look forward to working with you all in 2018. We will be closed from Friday 22nd December until Tuesday 2nd January. Instead of sending Christmas cards, the money we spend on cards and postage is donated to a charity of our choice. This year, our donation will be split between Friends of the Lake District and The Lake District Foundation. These two charities work towards protecting and sustaining the Lake District National Park. Their work is even more important now that the Lake District has became a World Heritage Site. The Lake District is listed, alongside iconic locations such as the Taj Mahal, the Great Barrier Reef and Grand Canyon, as a place of international acclaim. Over the Christmas break, we’ll be enjoying walks in the Lake District with the company’s newest member. He’ll be joining Designworks on 9th January, so there will be more information about our furry team member in 2018!